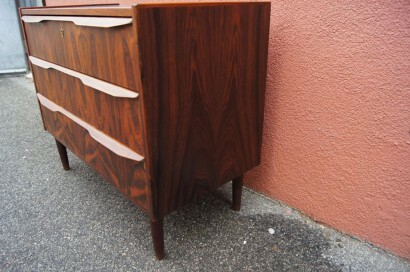 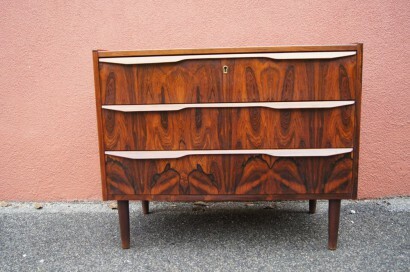 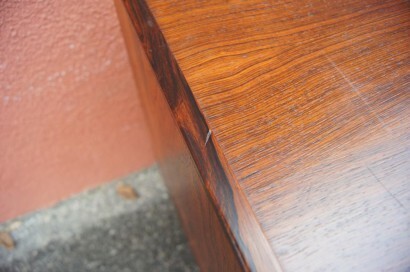 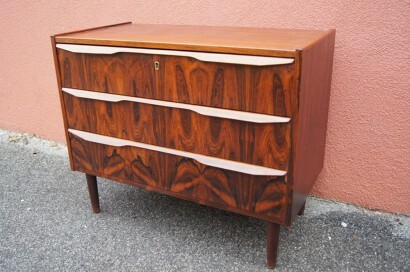 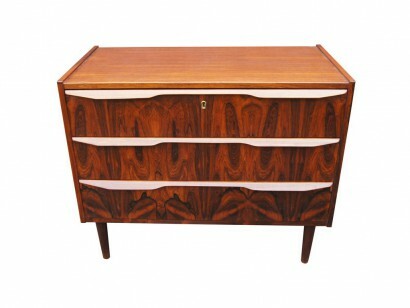 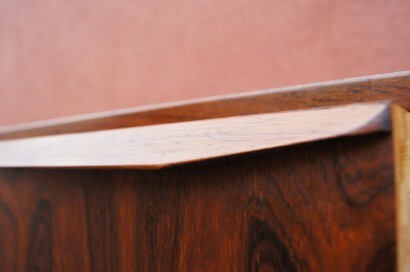 This handsome Danish modern chest features a vivid rosewood grain. 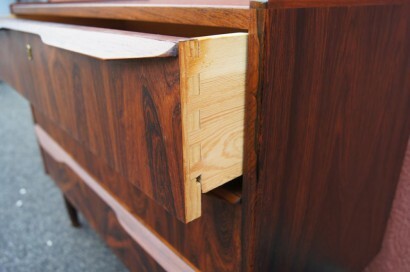 Sculpted pulls extend across the width of its three drawers. 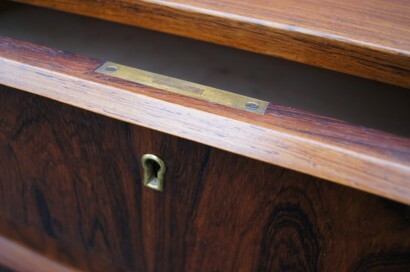 Comes with a working key.